High performance building envelopes have the potential to play a crucial role in reshaping Boston's architectural identity, explained Andrea Love, Director of Building Science at Payette. "A number of buildings of the past were all glass boxes that could be located in any climate anywhere. I think we have an opportunity to create climate responsive facades that reflect the location they are in." Love will expand on the theme at this month's Facades+AM Boston symposium, where she joins NADAAA Principal Nader Tehrani and Studio NYL Founding Principal Christopher O'Hara in a presentation block on "Boston's High Performance Skyline." Happily, Boston's AEC industry professionals have a head start when it comes to designing and building environmentally-efficient facades. 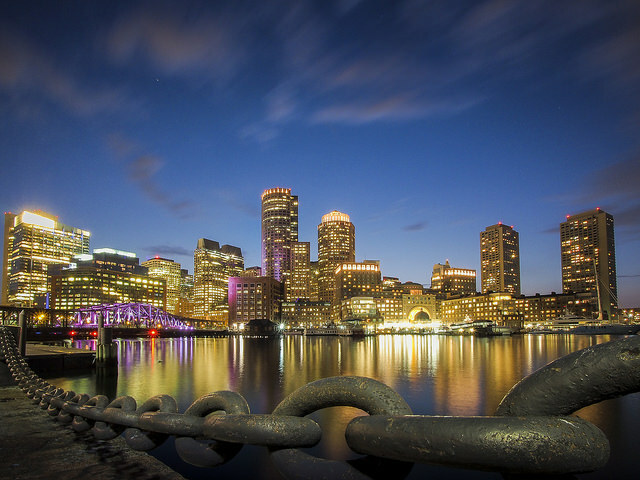 "I think that because of the Stretch Code and current energy code in Massachusetts, Boston leads much of the country in terms of high performance envelopes," said Love. Aggressive code requirements encourage rigorous evaluation and creative problem-solving. At the same time, she explained, "many local clients in the Boston area also have environmental and climate commitments which further reinforces the need for high performance facades." This is not to say that there is no room for improvement. Even Boston lags behind much of Europe, for instance. Love points to triple glazing as an example of a facade component that, while more or less standard in Europe, has only recently become more common in New England. In addition, she said, architects, engineers, and contractors must work to further their understanding in issues including thermal bridging and the relationship between facades and occupant comfort. "As an industry, I don't think we focus enough on how our building envelopes impact visual and thermal comfort in the spaces that are being created," explained Love. Love is excited about the multiplicative effect an increase in energy literacy has had on designers and builders. "It's a ripple effect—we are becoming more sophisticated in our understanding of how facades influence building performance," she said. "We're also improving how we incorporate analysis tools that allow us to make more informed decisions [during] our design process. And we continue to optimize the performance of our facades with strategies like increasing insulation, high performing glazing and sunshades that actually impact building performance." Learn more from Love and other movers and shakers in the facades world at Facades+AM Boston. Sign up today for one of the limited remaining seats. Mark Pasnik has written the book on Boston's evolving architectural identity—literally. Pasnik, founding principal at over,under and co-author (with Chris Grimley and Michael Kubo) of Heroic: Concrete Architecture and the New Boston, will offer his take on "Facades and Regional Architecture" in a presentation at next month's Facades+AM Boston symposium. "While Boston is often identified as a brick city, its architectural traditions are more complex," observed Pasnik. The city's landmark structures include not just brick but also granite and poured-in-place concrete edifices. "Where there is unity is in the thickness, heaviness, and solidity of nearly all of Boston's most significant buildings," said Pasnik. More recent architectural trends, including the elevation of thinness, contradict this legacy. "Some of the most criticized areas of new development in the city have suffered from paper-thin, inelegant, commercial curtain walls, particularly in the Seaport District," noted Pasnik. 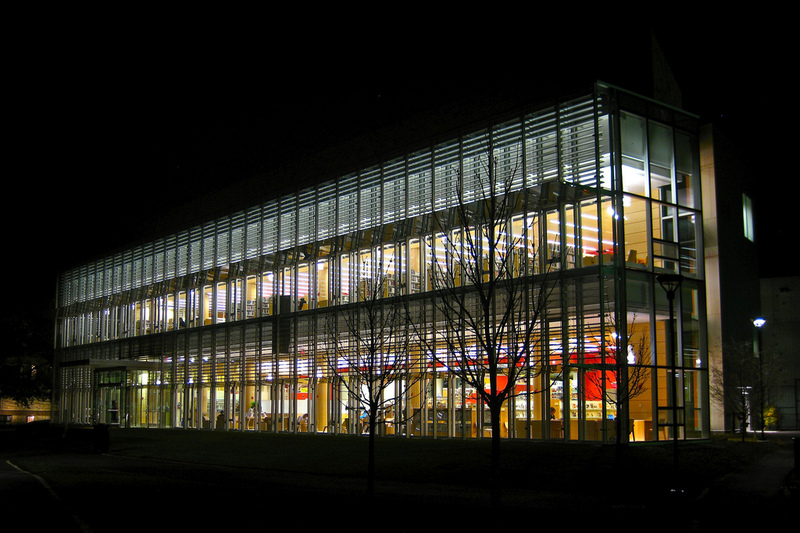 (Exceptions include William Rawn Associates and Ann Beha Architects' high-tech, highly transparent Cambridge Public Library). "However, Boston's identity, seen in historical and modernist traditions alike, is almost always on the side of having a thick skin," he remarked. Architects including Kennedy & Violich (Tozzer Anthropology Building at Harvard University) have successfully married Boston's historic heaviness with new technology and materials. Of particular note is the Bruce C. Bolling Municipal Building in Dudley Square (Mecanoo and Sasaki Associates). "What makes a structure like the Bolling Building and its high performance facade so remarkable is that its skin serves to stitch a neighborhood back together, animate its streets, renew a dilapidated historical facade, and in general represent the value of meaningful civic investment—which has become more and more rare in the United States," said Pasnik. "The building has catalyzed improved design ambition and expanded development, but its most important effect is in revitalizing an important urban center." Hear more from Pasnik and other facades specialists at Facades+AM Boston. Space is limited—register today on the event website. In Boston, local AEC industry professionals face a particular challenge: how to move forward while honoring the past. 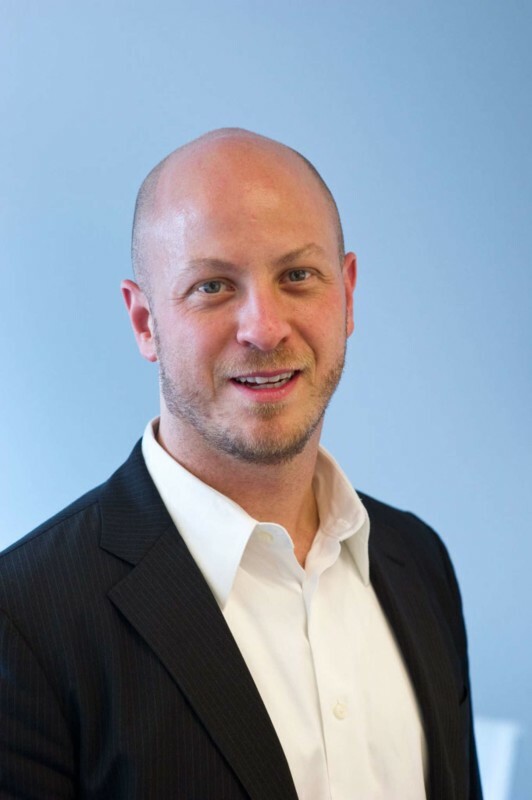 "Boston is a unique city in terms of architecture, and new versus old," said Ryan Salvas, Design Director at CW Keller & Associates and co-chair of the upcoming Facades+AM Boston symposium. Facades+AM, a quick-take version of the popular Facades+ conference series, makes its Beantown debut June 17. "There are a lot of forward-thinking academic programs in the area, but we also have, I would say, a very practical architecture base here," continued Salvas. "It's really about balancing historical references—and historical facades—but also looking forward to what's new." Now is an especially good time to talk about high performance building envelopes in Boston, said Salvas's co-chair, NADAAA principal Katherine Faulkner. "The city hasn't seen this much development, easily, in a century," she explained. "For Boston, it's been an exciting last five years. But one thing that's resulted is a lot of criticism—that the buildings are not inventive, not-forward thinking in terms of performance, that there's nothing indigenous [to the region]." Nine experts—including academics, designers, planners, developers, and municipal officials—will explore the upside of Boston's rapid transformation (as well as its particular challenges) in three presentation blocks at Facades+AM Boston. Each session is framed around an up-and-coming Boston-area neighborhood. The first, "The Seaport District Revisited," features presentations from CBT Architects' David Nagahiro, WS Development Associates' Richard Askin, and Utile Architecture & Planning's Tim Love. The second session, helmed by Mark Pasnick (over,under), David Carlson (Boston Redevelopment Authority), and Gerard Gutierrez (Sasaki Associates), shines a spotlight on "Facade and Regional Architecture," with special focus on the Dudley Square area. The final group of presenters, NADAAA's Nader Tehrani, Studio NYL's Christopher O'Hara, and Payette's Andrea Love, will zero in on "Boston's High Performance Skyline," especially in and around the tech hub of Kendall Square. In planning the symposium, the biggest challenge Salvas and Faulkner faced was not having too little to talk about—it was having too much. "Any one of these topics could take up a full morning on its own," admitted Faulkner. They nevertheless remain confident that the diversity of experiences represented by the panelists, in combination with the specificity of the sessions, will offer valuable insights to anyone interested in the aesthetics and pragmatics of high performance building envelopes. To learn more about Facades+AM Boston, visit the symposium website. Seating is extremely limited, so register today! Recently renamed the Smith Campus Center, Sert’s former Holyoke Center at Harvard University is an h-shaped 10-story building offering a panoramic view of the nearby Charles River. 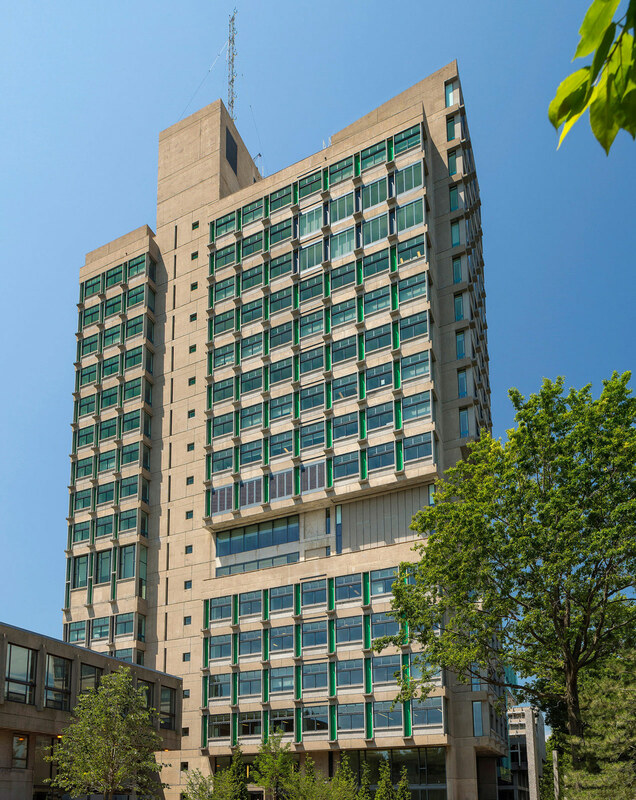 With a crumbling exterior concrete envelope and inefficient heating and cooling system, the building is undergoing a significant renovation process spearheaded by London-based Hopkins Architects and executive architects Bruner/Cott. Today, the building—recently renamed the Smith Campus Center—is undergoing a major physical and cultural transformation that seeks to strengthen the Harvard community, rather than to divide it. The university has engaged the university student and faculty body through 25 focus groups to produce a collective vision for the new center. The committee organizing the reprogramming of the building has received over 6,000 survey responses. While Boston University’s Law Tower received an addition that blended old with new, blurring the lines between Sert’s building and new construction, the Smith Center’s addition will separate itself from Sert’s architecture—a move that seems intentional. Visualizations of the addition promise relaxed spaces full of nature: A natural wood-clad ceiling and light-filled glassy expanses offering glimpses to nearby renovated leafy plazas. It is ironic that here in the very building Sert used to set forth a modernist agenda erasing the past, a new addition and campaign by the university is on track to culturally erase his project—from the facade system down to the name of the building. “The new Smith Campus Center will embody the aspirations and values that we hold dear and seek to preserve. It will draw us together more closely, strengthening the sense of community at Harvard by encouraging spontaneous interactions among students, faculty, and staff, as well as members of the broader community,” said Harvard President Drew Faust. Josep Lluís Sert’s career was born in Barcelona where, after briefly working for Le Corbusier in Paris, he went on to found numerous influential artist groups influential in the growth of modern architecture. He was exiled to New York City during WWII where he worked on several urban planning schemes for cities in South America. From this experience, he became dean of Harvard’s Graduate School of Design, initiating the world’s first urban design degree program. One of his trademarks, prominently found on the facade of Peabody Terrace, are wonderfully colored panels integrated into window systems. “They’re very romantic,” said Cott. “…and surprisingly brightly colored. You can open them up and let in fresh air.” The problem was that these panels were literally the only means to temperature control in the building. All of the dwelling units, despite various solar orientations, ran off one thermostat. Tenants had no control of their heat, often using Sert’s operable panels to cool their overheating spaces in the winter months. The units were neither air tight or waterproof, further adding to the deterioration of the building. Stationed between Harvard University and MIT in Cambridge, Massachusetts, Bruner/Cott finds itself at arguably the epicenter of Brutalism—the Charles River where reinforced concrete towers thrived in the 1960s due to postwar campus expansion programs and the desire for an effect of stability and permanence among institutions. 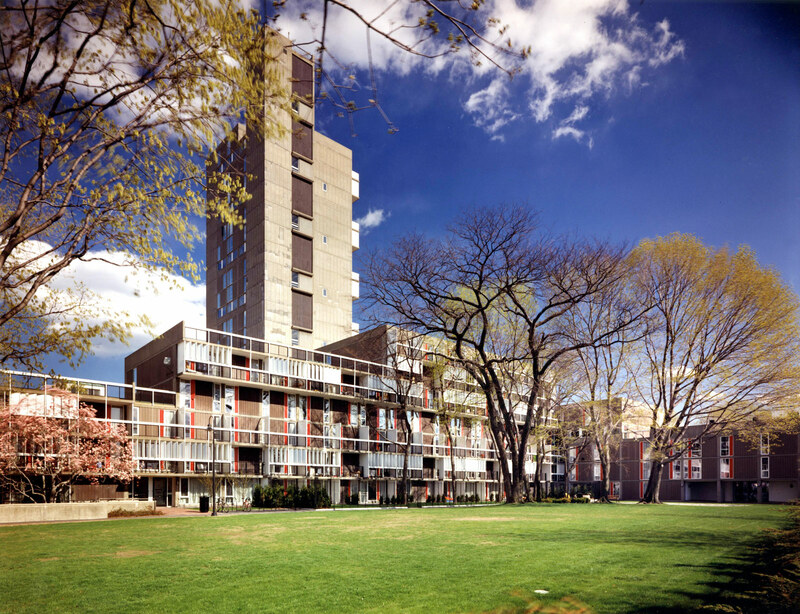 Bruner/Cott’s pioneering work with adaptive reuse in the 70s, along with extensive experience in managing the preservation of entire campuses of buildings—some nearly entire towns—has naturally led the firm to Boston University and Harvard University , where the architects find themselves reengaging the work of their former colleagues and teachers. Technical complexities of renovating Brutalism bring forth a new set of preservation issues not seen in the restoration of 19th century clapboard buildings and limestone buildings—namely the cultural and tectonic baggage of exposed concrete. People often dislike concrete buildings. And concrete-formed structures are prone to sprawling and cracking since they are often reinforced and formed incorrectly. There is an art to concrete restoration that not only involves labor-intensive selective demolition, but also a precise pairing of aggregates to minimize the difference between old and new exposed finishes. “This is very fascinating work on a level that is very different than renovating a 19th century Victorian church. Modern architecture is of my time. We were around when modern architecture was new and innovative, and now we are renovating it. Its very interesting to see its faults and to be able to bring it back so it can continue for many years—hopefully many decades,” said Cott. The following projects have much in common despite a range of nearly 20 years between completion dates. Their stories all stem from what Cott describes as a “downward spiral” of disinvestment—a familiar story that goes something like this: The building is not particularly liked by the public leading to a decline in its use, which triggers owners to stop taking care of it because of costly repairs. The building deteriorates, and its occupants hate it even more. Now demolition is on the table as a solution. The first question from these owners is often, “If we clear out the building, can we demolish it?” All of this effort is ironic for an architectural movement that made every aesthetic, formal, and structural attempt at erasure of a tumultuous past that included the Great Depression and two world wars. But Bruner/Cott sees its work as a respectful blend of preservation and correction of modernism’s faults, and “do the impossible” by making these buildings better than they ever were to begin with. One of the major flaws of this building was the circulation system of the building, which relied on elevators to transport large crowds of students to elevated lecture halls in the tower. During classes, it would take 20 to 30 minutes to clear the room, which was disruptive to the academic schedule. Bruner/Cott reprogrammed the building, swapping in administration and faculty offices for the large occupancy areas, which have relocated to a new five-story 93,000-square-foot addition between the base of the tower and an adjacent library. “We made every effort to make the new construction part of the aesthetics of the original tower,” said Cott. “When you’re inside, you know the building has been renovated, but you don’t really know what is renovated and what is original.” The architects worked to maintain the historic character of the building intact through exposed, board-formed concrete finishes. For decades, there have been plans to transform Boston's City Hall Plaza, the windswept concrete wasteland, or triumphant frame around an outstanding piece of Brutalist civic architecture, depending on your view. 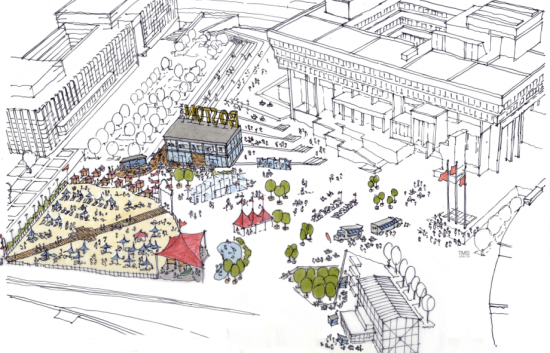 Now, the plaza is poised for a major makeover into a year-round leisure zone. Mayor Marty Walsh has prioritized the revitalization of the barren plaza with the launch of Rethink City Hall! Last summer, the city installed an Astroturf front lawn and solicited ideas for a redesign from Bostonians. Other plans called for an urban habitat with micro wind turbines and stormwater-collecting planters. The City has signed a three year contract with hospitality management company Delaware North (which also own TD Garden and New York's Rockefeller Center ice rink). Concept plans call for a 200-foot-tall, 42-gondolas Ferris wheel, a restaurant and beer gardens, a summertime beach, a winter garden with ice rinks, curling, and hot chocolate, as well as interactive public art installations, including a massive selfie-ready sign that spells out #BOSTON. The contract raises an all-important question: Who's paying for this? The City states that no public funds will go towards the project, although Delaware North is willing to invest more than $15 million dollars, on the expectation that it will recoup its investment in a revenue-sharing agreement with the City. Although free beer would be nice, some of the amenities will be fee-based. 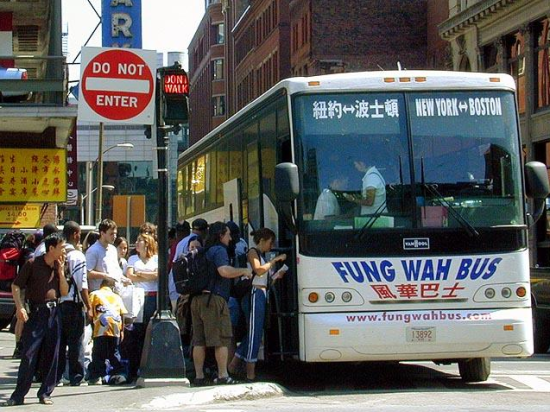 The proposals still need to be opened for public comment and city approval, The Boston Globe reports. To ensure the project's financial viability, Delaware North would like Boston to commit to a longer contract. The company is also seeking corporate partners to help pay for the project. Construction on the winter garden and a temporary restaurant is set to begin this October. Recent coverage of the Northern Avenue Bridge's need for repair or replacement acknowledges the conflicting interests and complex interplay of costs and benefits associated with alternative visions for its future. Often lost in the discussion of its rusting structure is the important place it occupies in Boston's social and urban fabric. 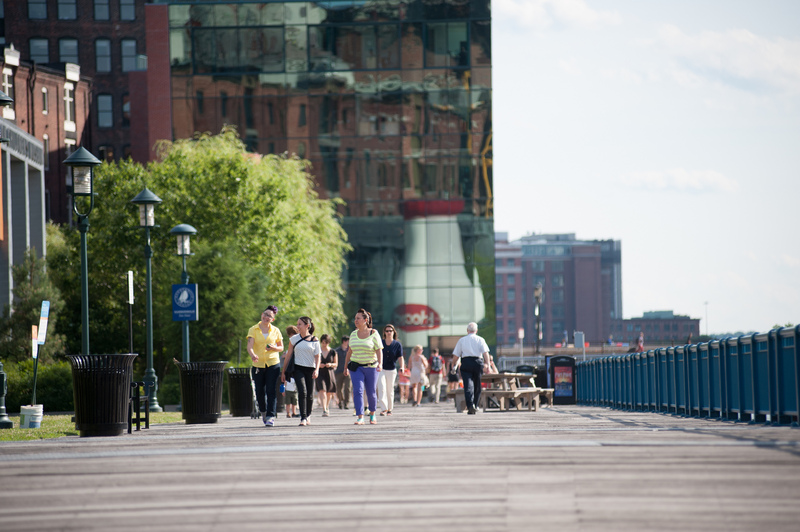 The bridge is a pivotal link in the Harborwalk, connecting downtown to the rapidly evolving South Boston waterfront. It is also the northern terminus of Fort Point Channel, whose potential was recognized in recent plans to turn Dorchester Avenue into Olympic Boulevard. Given its prominence, the bridge's noble structure could be restored, like the Longfellow's, as a reminder of the city's industrial past. Or it could be replaced with a daring new span like the Zakim's, energizing this critical crossing. Past and future could also be interwoven, to create our own version of Manhattan's High Line. There are two essential requirements for planning and implementing the best direction forward. The first is an inclusive—and conclusive—public process that allows alternatives to be proposed and evaluated. The second is a commitment to superb design so that bold forms and engaging spaces will bring this corner of the city to life. Together they will give Boston the Northern Avenue Bridge it deserves. To that end, please join this lively discussion. Moderator Dante Ramos, op-ed columnist, The Boston Globe About the Designing Boston Series This series provides a forum to discuss current trends and concerns in architecture and urban planning that may shape Boston’s future. Topics include designing for transportation, walkability, and climate change, and meeting housing demands of this growing city. Go to series page. This program is supported by the BSA Foundation. Image: Old Northern Ave Bridge, Boston. Credit: Katlenburg-Lindau, Germany, creative commons license, modified. It's not surprising that Massachusetts, the state where happy hour is illegal, has found a new way to legislate away one of the city's greatest subversive small pleasures. For rushed urbanites especially, getting from place to place quickly on foot means crossing the street in the middle of the block. But State Senate Majority Leader Harriette Chandler has introduced legislation that would force pedestrians to adhere strictly to Cartesian space via stiff fines for jaywalking. This latest kerfuffle over the streets raises a question for inveterate jaywalkers and safety sticklers alike: What's so wrong with jaywalking, anyway? https://www.youtube.com/watch?v=qWGEPZlbtX4 Massachusetts' current fine of $1, state officials claim, is hardly a deterrent to the common practice of crossing mid-block or against traffic. Chandler proposed a bill that would raise the fine for the initial offense to $25, $50 for the second, and $75 for the third jaywalk, The Boston Globe reports. (The standing law, enacted in 1962, imposes a $2 fine for the fourth offense and beyond.) The bill was motivated by recent pedestrian deaths in the Worcester Democrat's district. "It’s a bad habit we’ve all gotten into. And it’s changing a bad habit. And the best way to change a bad habit is to penalize it in some fashion," Chandler testified to the Transportation Committee. https://www.youtube.com/watch?v=-AFn7MiJz_s Since the rise of the automobile, government has taken an active role in dissuading citizens from crossing the street in the middle of the block, as the (totally catchy) '60s PSA radio jingle explains. A jay, in early twentieth century parlance, was a rube, an unsophisticate. Calling someone a jay was a huge insult, as Adam Ruins Everything explains in the video above. Interestingly, although humans have had legs for far longer than cars, the term "jay driver" preceded jaywalker. Before the first crosswalk was installed in 1911, cars, pedestrians, carriages, and streetcars had equal right to the street. Cars were viewed as menaces, and cars driven recklessly by so-called jay drivers were seen as a threat to the balance of chaos and control that kept the streets usable for all. Citizens were justified in reviling drivers: By the end of the 1920s, automobile accidents had killed more than 250,000 people. As with the streetcar phase-out, the interests of the automobile-owning capitalist class prevailed over the public's right to the street. The auto industry lobbied to make cars the prima donnas of the street, a mode of travel that deserved special protections from annoying pedestrians, especially. The American Automobile Association (AAA) spearheaded school safety campaigns, warning boys and girls of the dangers of jaywalking. In a few short years, the threat of cars to people was superseded in public discourse by the threat of people to cars: by the 1930s, most municipalities had enacted laws agains jaywalking. These days, the jaywalking crackdown is not limited to Massachusetts. 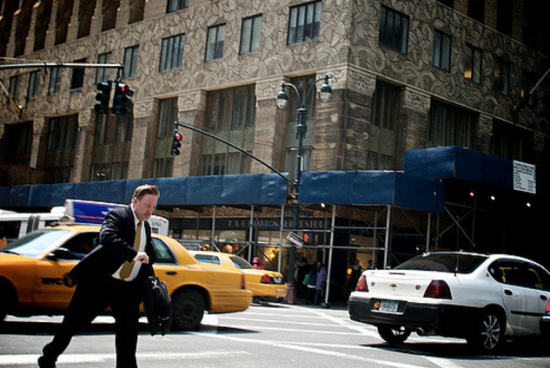 In 1998, New York City got tough on jaywalking, jacking up fines from $2 to $50. Under de Blasio, those fines went up to a maximum of $250. As with the enforcement of "quality of life crimes" like loitering and public drinking, jaywalking citations are primarily foisted on poor people of color. As the Massachusetts legislature debates this bill, it's worth re-engaging the old debate: is jaywalking a really crime, or is it just criminalized? 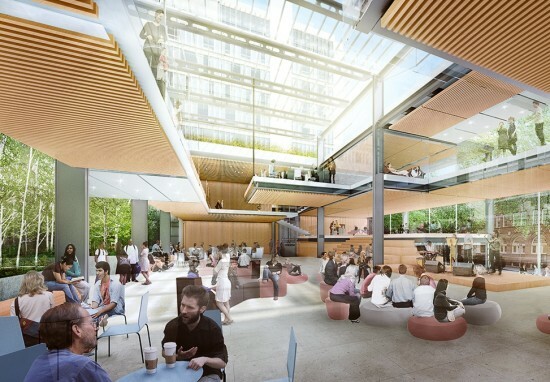 British firm Hopkins Architects (formerly Michael Hopkins & Partners) has been granted planning permission from local authorities to build the new Smith Campus Center for Harvard University in Cambridge, Massachusetts. Hopkins was selected for the project back in 2013, but plans are now becoming clear with new renderings of the project. Included in the plan are shopping areas, cafes, and student exhibition areas. These areas will look out onto the open space laid out in front of the building, while sitting alongside and sheltering the study spaces inside. Such a scheme creates a defined hierarchy within the structure. Outdoor social space is separated from the quieter, more formal areas of study via the threshold of shopping, cafe, exhibition spaces, and reception area. The plan will become part of the Josep Lluis Sert's 1960s design for the Holyoke Center. Joining onto the exterior facade (as seen in the pictures) will be a steel structure, clad mainly in glass with softwood and concrete interior. After being appointed to the project in 2013, Hopkins Architects' vision for the Smith Campus was formed after asking students, faculty and staff about what they thought the campus should be. An exhaustive study into this comprised public meetings, over 25 focus groups, and almost 6,000 responses to University-wide survey. 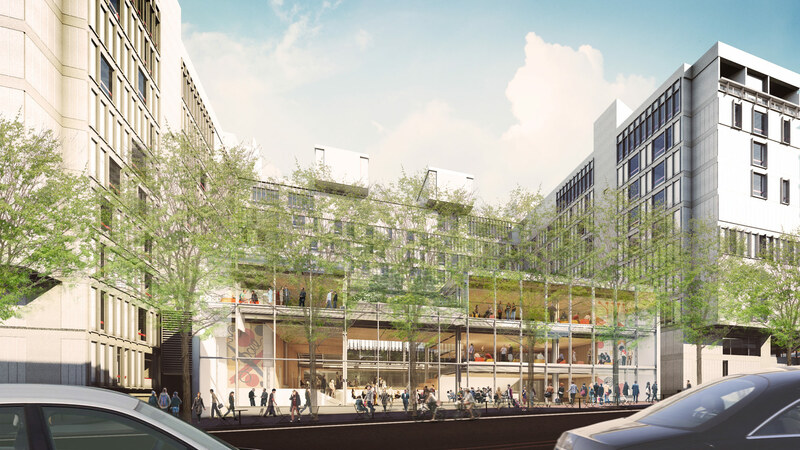 “One of our key design objectives was to ensure that the building engages the vibrancy of all of Harvard Square,” said Tanya Iatridis, senior director of University planning, speaking to the Harvard Gazette. “The new Smith Campus Center will embody the aspirations and values that we hold dear and seek to preserve. It will draw us together more closely, strengthening the sense of community at Harvard by encouraging spontaneous interactions among students, faculty, and staff, as well as members of the broader community,” Harvard President Drew Faust told the Harvard Gazette. “While plans are not yet final, and we have more feedback to gather, we are all pleased with the project’s direction and progress.” Joining Hopkins will be U.K.-based firms, Arup on the engineering team and Faithful + Gould as project management consultants. It won't be an all British show however, as U.S. practice Bruner/Cott will be executive architect and Cambridge firm Michael Van Valkenburgh Associates will serve as landscape architect. The project is expected to break ground later in 2016 with the new campus expected to open in 2018. The AIA New York has named Architizer co-founder and minority owner Benjamin Prosky as its new Executive Director. He will step away from his role as Assistant Dean for Communications at Harvard University Graduate School of Design (GSD). Prosky has been overseeing events, publications, multimedia content and special projects since 2011. He will begin his duties at the AIA in early 2016. “It is a tremendous honor to serve as Executive Director of the AIANY and the Center for Architecture,” Prosky said in a statement. “I feel privileged to have the opportunity to expand the scope of both organizations—I look forward to engaging with the professional architects who are the backbone of the constituency, and also cultivating the broader public which, in the context of New York, recognizes the profound impact that design and the built environment have on the vitality of the city and all aspects of our lives."